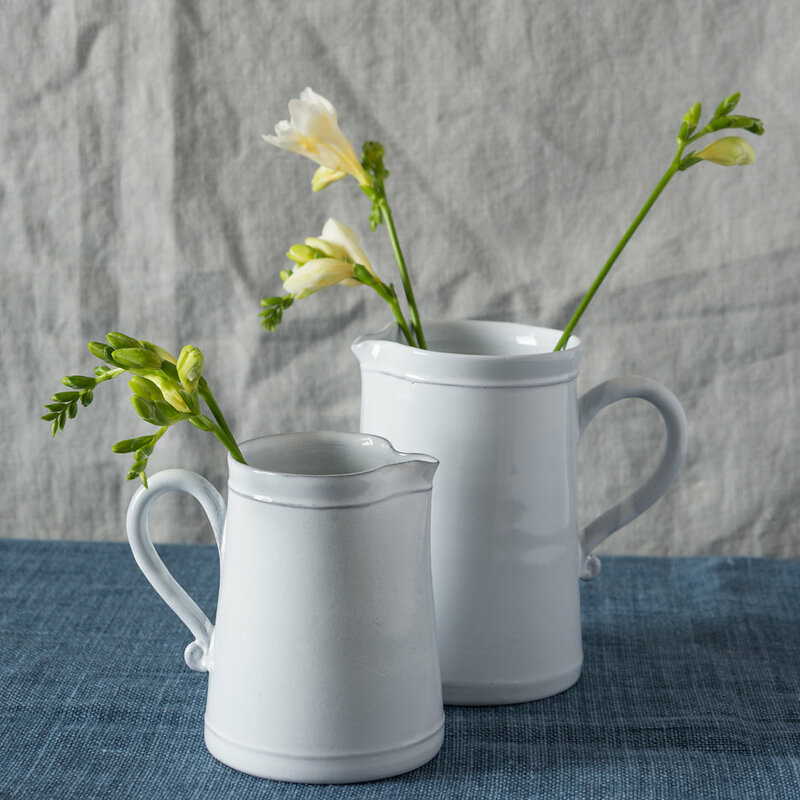 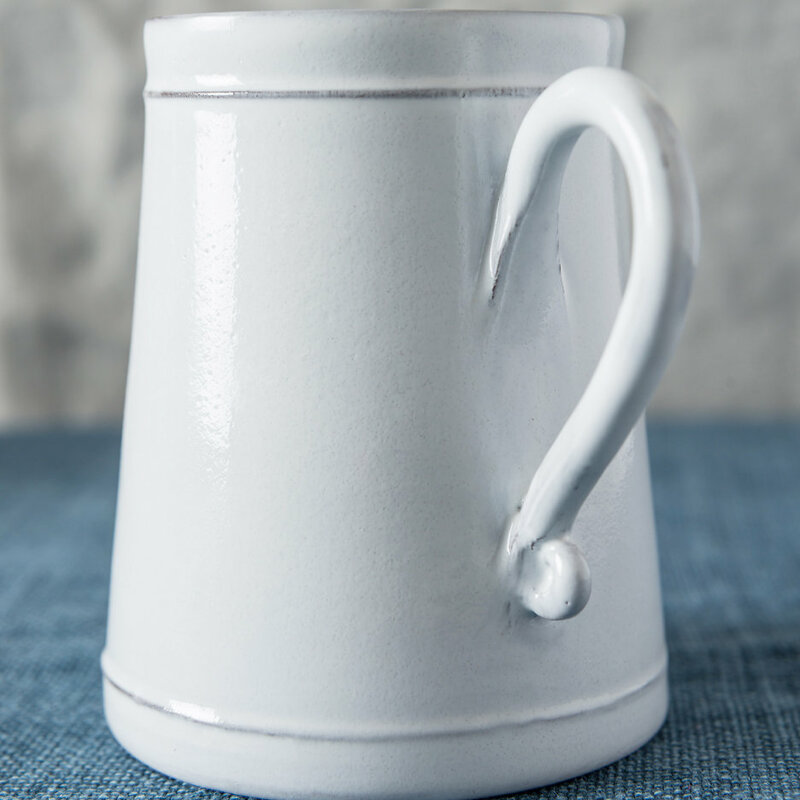 An irresistible jug, both rustic and refined, perfect for custard or gravy and delightful holding flowers. 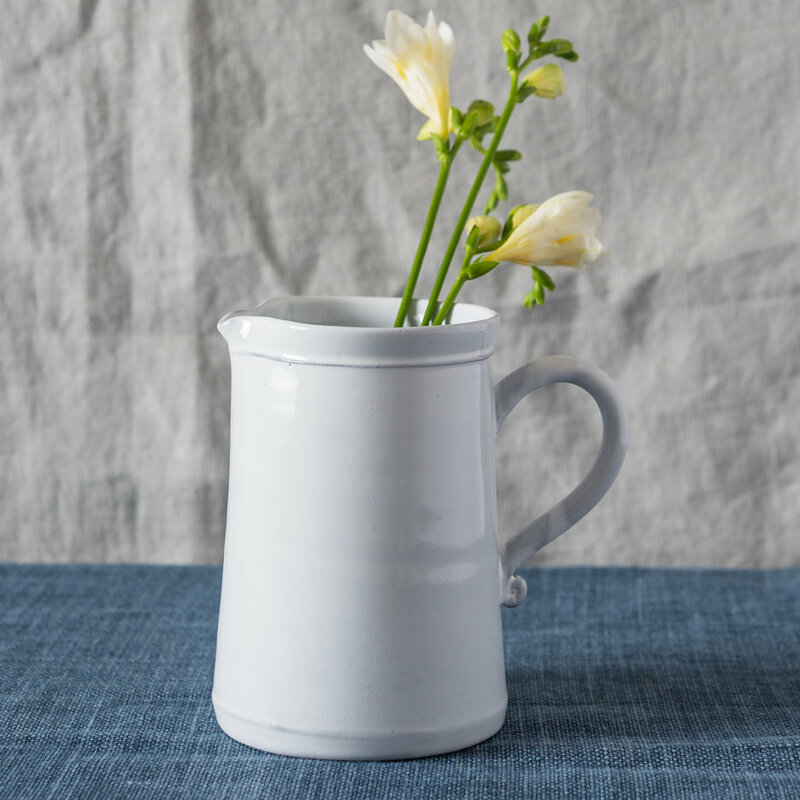 Handmade in Provence from a black sandstone and lightly glazed in white to beautifully highlight the delicate details. 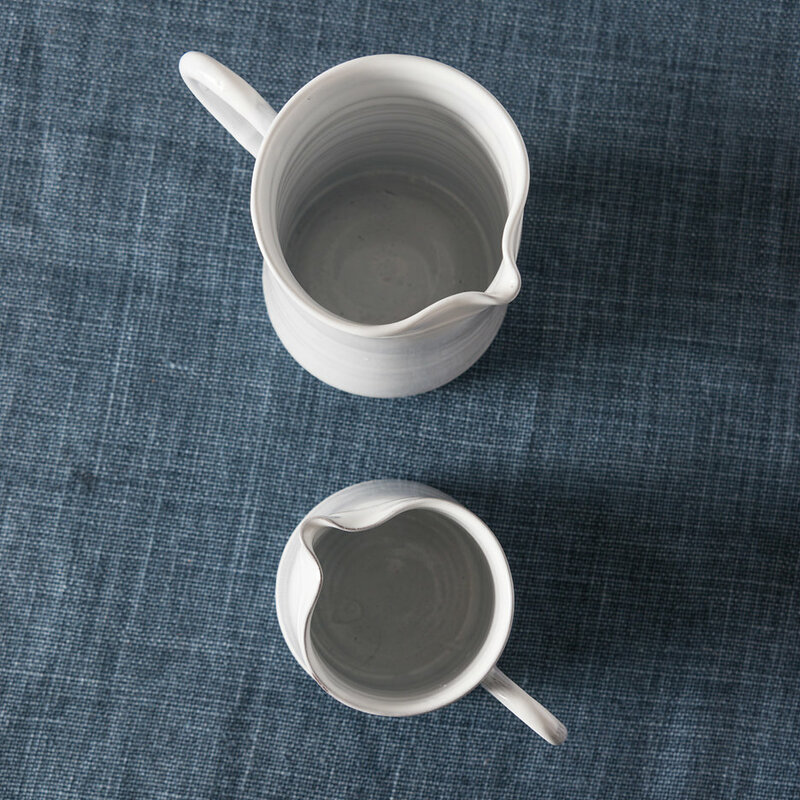 These jugs truly capture the essence of elegant French ceramics. 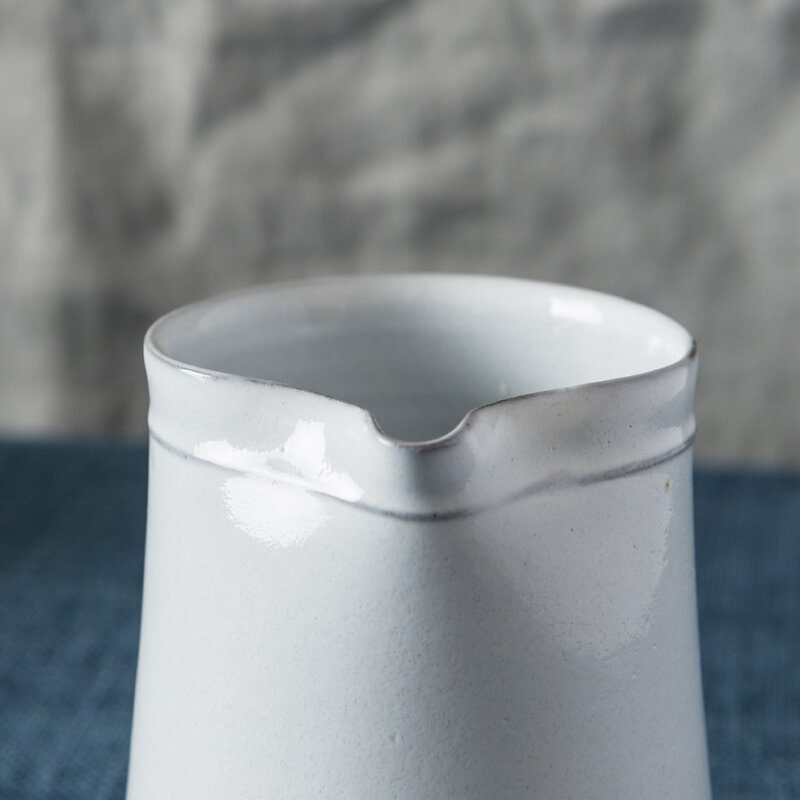 Due to the handmade nature of these items each piece is unique and slightly different.